There’s a lot that can go wrong when you try to climb a mountain. Frostbite, extreme winds, lack of oxygen, hypothermia, and thousand-feet drops are commonplace in the highest peaks in the world. More than 200 bodies lie buried on Mount Everest alone, many in plain sight of the climbers who reach the highest levels. And that’s before you consider the difficulties of trekking back down to home base. For those who are in the business of conquering mountains, the thrill of the climb is never free of danger. Achieving this dream - and coming back in one piece - is difficult for even experienced alpinists. But success, if you can get it, can be life changing. Tomorrow Japan celebrates Mountain Day, a national public holiday honoring the mountains. Every August 11th (so chosen because the Kanji for "8" looks like a little mountain), workers and students take the day off to enjoy the fresh air, recharge, and explore the great outdoors. Though most of us aren’t scaling Mount Everest anytime soon, we all have mountains of our own that await to be conquered. Here, four Japanese mountaineers who braved the elements, old age, gender expectations, and near-certain death to achieve their dreams. Standing at just five feet tall, you might not peg Junko Tabei as a record-breaking mountaineer, but that’s exactly what she is. In 1975, Tabei became the first woman to reach the summit of Mount Everest. At the time, women weren’t expected to go climbing, never mind reach the world’s highest peak. “We were told [by sponsors] we should be raising children instead,” recalled Tabei to the Japan Times in 2012, “Back in 1970s Japan, it was still widely considered that men were the ones to work outside and women would stay at home. Even women who had jobs, they were asked just to serve tea.” Undeterred, Tabei founded the Ladies Climbing Club, the first all-female climbing club in Japan. An American literature graduate from Showa Women’s University, she worked as an editor at a science magazine to fund her expeditions all over the world. When she finally set her sights on Everest, Tabei gathered an all-female team to conquer the mighty mountain. A poster for the 1975 documentary directed by Lawrence Schiller and Bruce Nyznik. While most famed mountain-climbers reach impossible summits with the help of a team, Naomi Uemura made a name for himself by reaching the same heights solo. The Japanese explorer was the first to trek alone to the North Pole in 1978, the first to raft the Amazon on his own, and the first to finish a solo winter ascent of Denali, the highest peak in North America. 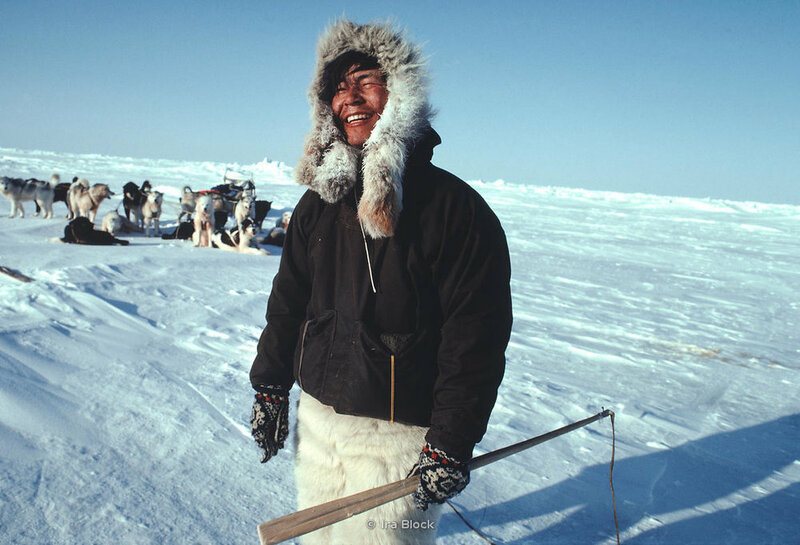 In between, he walked the length of Japan, escaped a polar bear encounter, got stranded on a broken ice sheet, and completed a solo sled dog run from Alaska to Greenland (upon arrival Uemura told an Eskimo, “I’ve come from Greenland.” The man, puzzled, asked him where Greenland was). He’s been described as a national hero and the greatest solo adventurer since Charles Lindbergh, but for Uemura the allure of solitary exploration was always a personal one. “In all the splendor of solitude… it is a test of myself,” said Uemura, “and one thing I loathe is to have to test myself in front of other people.” Uemura disappeared on Mount McKinley in 1984, after becoming the first person to reach the summit in a winter ascent. Over 800 people attempt to scale Mount Everest every year. Each of these expeditions requires several pounds of gear: oxygen containers, sleeping bags, and food supplies, among other things. But there is one thing you won’t easily find 20,000 feet above ground- trash cans. Ken Noguchi witnessed this firsthand after scaling the famed peak at the age of 25. During the climb, he witnessed a surprising side of mountaineering: pounds of scattered debris flooded the mountainside, remnants of previous expeditions and few able cleanup volunteers. In an interview after completing the climb, he remarked, "Before going, I always saw images of beautiful Everest on TV. I thought it would be like that. But once I got there, I found litter everywhere." Spurned to action, Noguchi organized a group of climbers to begin removing litter from the side of the mountain. His team removed over 8 tons of garbage from the mountain, including over 400 discarded oxygen containers. Today, Noguchi has become one of the strongest voices in support of environmentalist practices in Japan. He has led cleanup efforts in mountains all over the world, including Mt. Fuji which, as a national symbol and major tourist destination, collects large amounts of trash from visitors every year. Fellow alpinists like Junko Tabei have joined Noguchi’s cause, forming a coalition of climbers that advocate for sustainable mountaineering. His remarkable work goes to show that when you scale your own obstacles, you can still clear the path for others behind you.